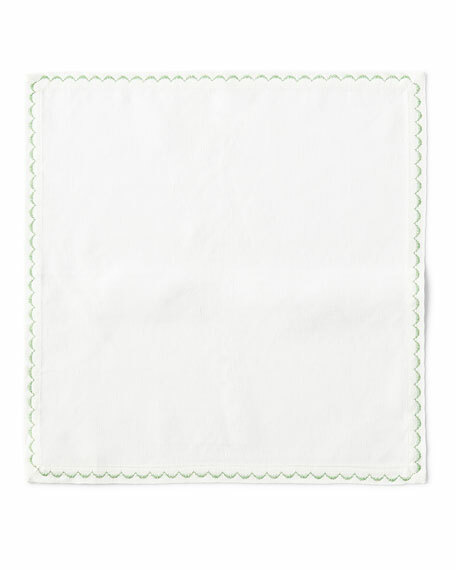 Pique napkin with emerald scallop stitching. Made of linen and cotton. 22"Sq. Machine wash. Imported. 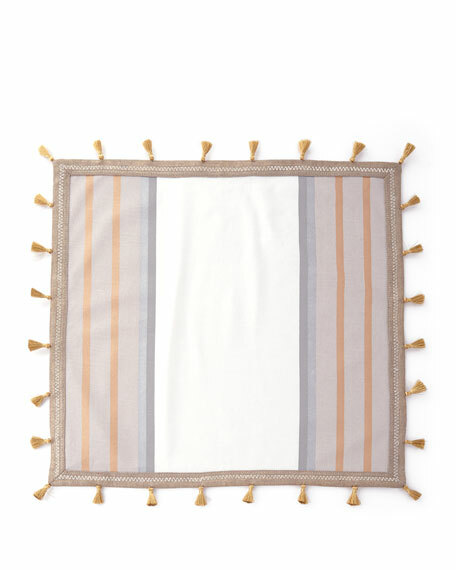 Striped napkin with tassel fringe border. Cotton/jute/metallic zari. Polyester trim. 21"Sq. Machine wash. Imported. 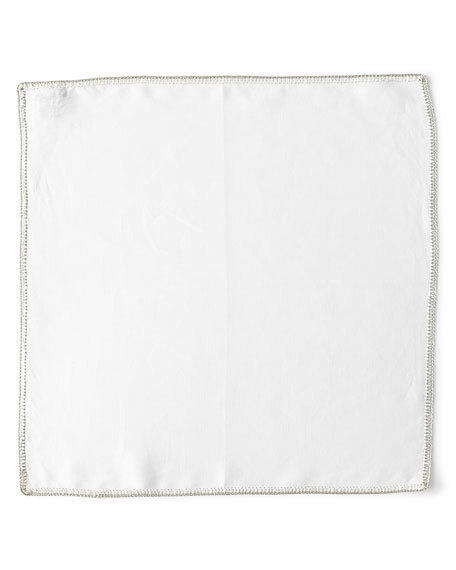 Jaipur napkin. Approximately 21"Sq. 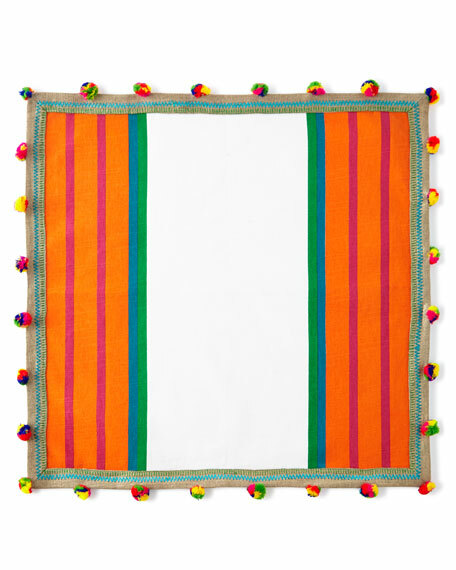 Vibrant striped detail. Topstitched edging. Pompom trim. Crafted of cotton and linen. Machine wash. Imported. 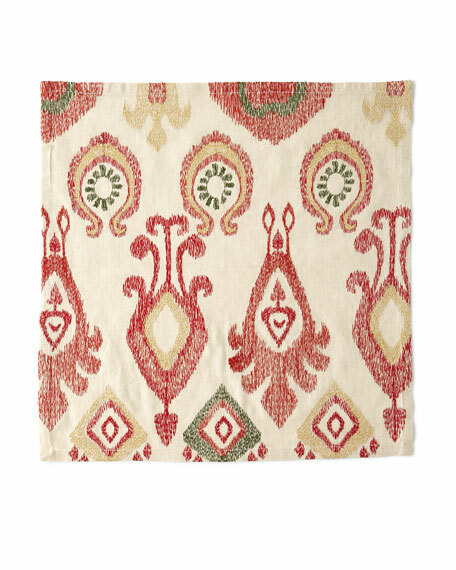 Napkin featuring Moroccan tile pattern. Approx. 21"Sq. Cotton/linen. Machine wash. Imported.